You already know the PUMA FUTURE. The innovative NETFIT technology makes it possible for you to lace the boots just the way you like to get that perfect fit. Today, superstar Antoine Griezmann has received his own signature PUMA FUTURE, providing him with that optimal fit. Dig in and check out the boots! Click here if you want to read more about the technology behind the PUMA FUTURE. Shunned by major clubs for being too small as a young boy, Antoine Griezmann has achieved against all odds. From Màcon to the world, Antoine Griezmann has written his own FUTURE. This special Grizi Edition of the FUTURE was designed with Antoine Griezmann’s personal insight, a player that perfectly embodies the player of the FUTURE, quick thinking, instinctual and individual. The design of the PUMA FUTURE Griezmann Edition features a custom camo that appears on the upper and outsole of the boot. The camo was created from the silhouettes of Grizi's home the city of Màcon, the department of Saône-et- Loire, the region of Bourgogne-Franche- Comté and of course France. Secondly featuring across the heel area are the nicknames Antoine Griezmann has garnered on his journey to the top, Grizou, Tonie, Toinou, Le Petit Diable, El Pricipito and his own personal favorite and most famous, Grizi. In my opinion the coolest detail on the boots. 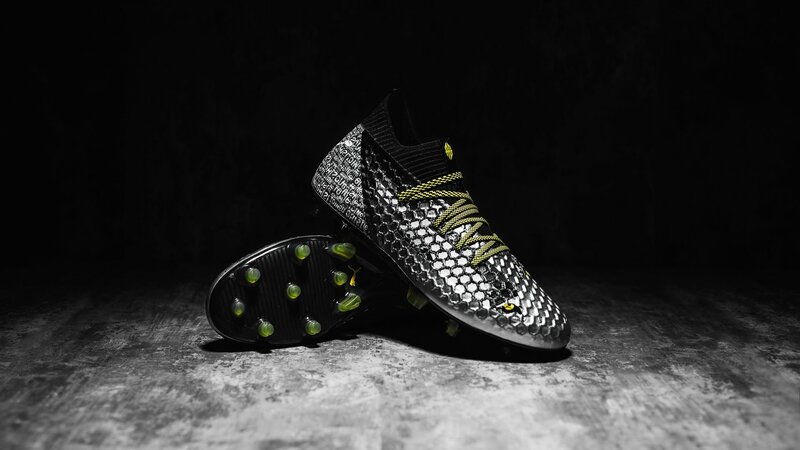 The boot also represents Griezmann's ‘hunter’ instinct on pitch, with the apperance of a wild cat’s eyes so when he looked down upon the boot's the eye inspires that inner instinct. Disruptive and reflective claw mark graphics have also been applied to the Formstripe and PUMA logo, visible as the cameras flash on those unpredictable feet. Finally, PUMA launches Grizi's new logo on the boot, fierce and aggressive in its design, again reverting back to the French star's hunter nature on the pitch, look out for the hidden no.7 within. Do you want to lace 'em like Grizi? Then get your pair of the PUMA FUTURE Griezmann Edition right here.